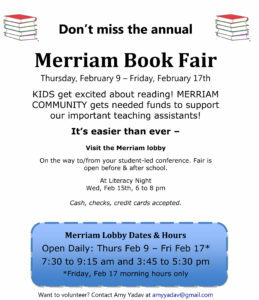 MERRIAM’S ANNUAL BOOK FAIR CONTINUES THROUGHOUT THIS WEEK – and we need your help! 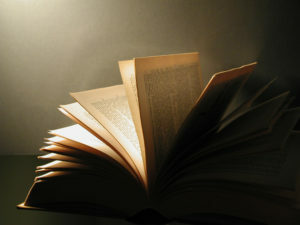 Merriam will host our annual Porter Square Books Book Fair during the week of student-led conferences. The Book Fair will be open before and after school through Friday, February 17th. This is a fun event for kids and an important fundraiser for our fabulous classroom assistants. Parents interested in volunteering during the book fair should contact Amy Yadav (amyyadav@gmail.com). Thank you in advance for helping to sell books and get kids excited about reading! Muffins and Doughnuts! 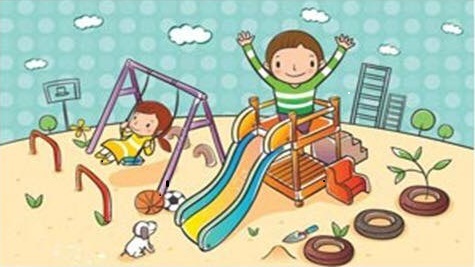 Come before school, enjoy with your kids!